Building online relationships through social sites such as LinkedIn, Twitter, Blogging, etc. are important, but if you have to pick one over the other, building off-line relationships is more beneficial. I don’t mean just rubbing shoulders in a conference and then leaving, but having the opportunity to hold real conversations with people. These may be people within your industry, or people who know people, who know people, who know people… because 6 degrees of separation is a reality. 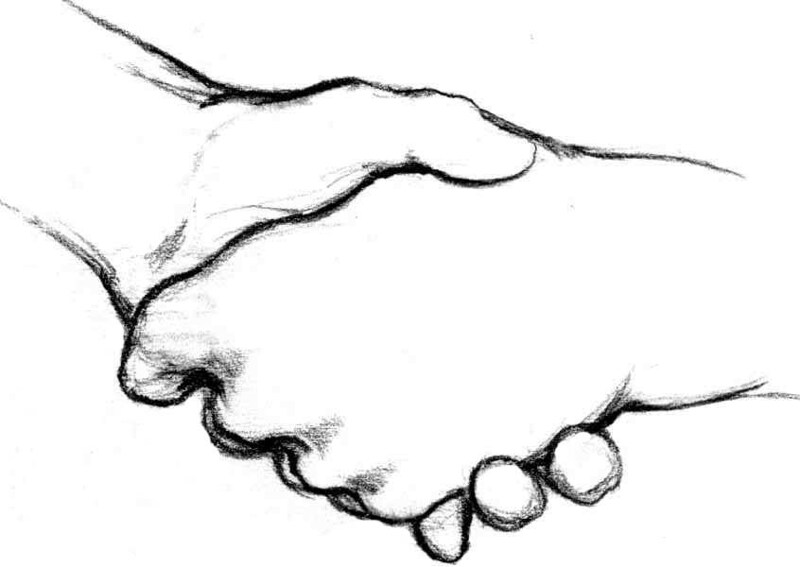 Why is a hand-shake better than an @mention on Twitter? Because there is more to a conversation that just words. What makes Off-line networking better? Honesty through body language – gives you the opportunity to talk with someone and see their response to your words, or to you in general. Do you ever notice that when someone loses interest in what you have to say they look away (or their eyes glaze over) or start to fidget? This is your chance to redirect the conversation to keep them engaged, or let them go because you know now that they really aren’t interested in what you have to say. Perhaps though this is not about them, but about you. Think of their response as a mirror to you. Are you speaking only of yourself? These are hard lessons that cannot be ignored when you are in person. Real engagement is when you talk about others, and less about yourself. You don’t get that opportunity to have this kind of immediate and insightful feedback when you are online. Memory – You have the opportunity to include all your senses (and emotion) when meeting someone in person: Smell – the greatest sense for enhancing the memory, Sight – 3 dimensional sight is more effective than just a profile pic, Sound – how their voice sounds during a casual conversation may offer insight to how they REALLY feel about what they are saying (podcasts that are scripted don’t offer such insight). All of this gives you clues to who these people really are. It will help imprint on your memory for future discussions that may take place later: off-line or online. Speed – With all of the above factors taking place during a physical interaction with another person, the speed of getting to know one another through off-line conversation is so much faster than online. Hard to believe, but online is slower in some things, and this is one of them. Healthy – YES, it is healthy to get out and be with other people! Away from the computer. Physically interacting with other people. For some people this is part of their everyday life, but more and more we find ourselves spending an incredible amount of time behind the screen of an electronic device. Be good to your body: Get out and mingle! I enjoy the sales meetings and conferences that I have the opportunity to attend – especially the global ones. Not only to learn about new products, but because it is a healthy change of pace. It is a chance to meet peers from other countries : to share challenges, accomplishments and best practices. NOT over a digital platform, but with the mountains at our backs, music around us, drink in hand and much laughter and smiles. Business cards exchanged, LinkedIn profiles connected, and promises to stay in touch. What other benefits have you experienced through off-line networking? This entry was posted on June 10, 2012, in Business, Communications, Public Relations and tagged 5 Senses, Communications, conferences, networking, Off-line, people, social business. Bookmark the permalink.